Happy Tuesday! 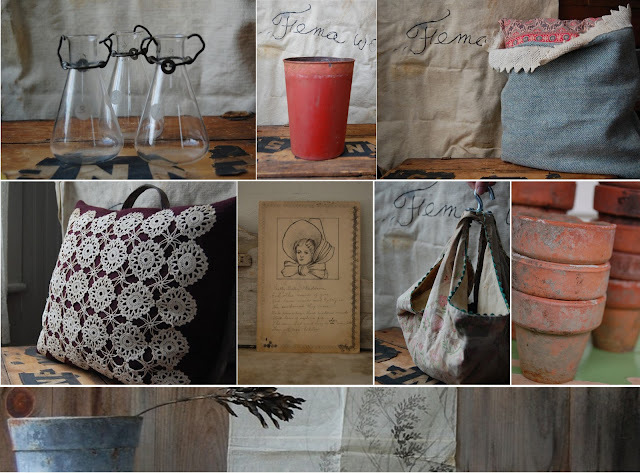 Looking back at past Etsy love posts, it's easy to see that I am a fan of anything made out of earth-friendly or vintage materials. So, I pretty much covet everything at enhabiten. I found enhabiten when I was reading Etsy's blog series, "Saved From the Fire. " Liane, enhabiten's shop owner, wrote a lovely piece for the feature. Browsing her shop, I fell in love with her pillows. My favorites are the ones covered with lace or a piece of crochet. While I want to cover my bed with enhabiten pillows, I want to adorn my fingers with tinahdee's stackable rings. I'm amazed at the intricate details found on each gold, silver, copper and bronze ring. I have a soft spot for polaroids. 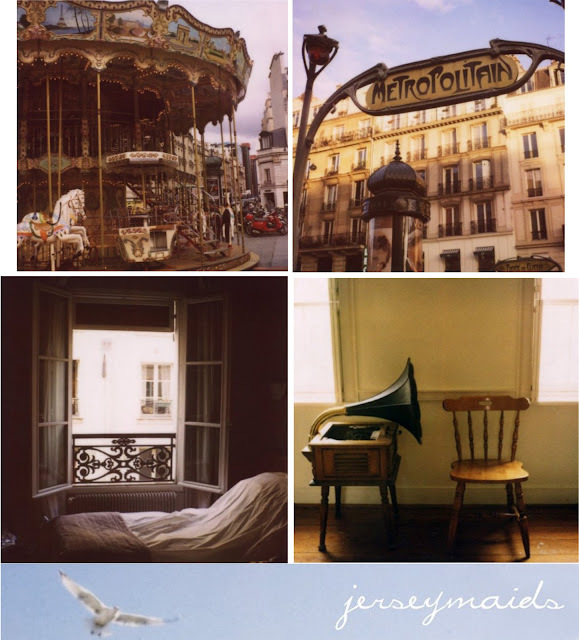 That's why I had to include jerseymaids, which celebrates the instant camera. Every destination photographed looks so magical, and if you wish, you can either admire it on your wall or on your finger inside a vintage filigree ring. 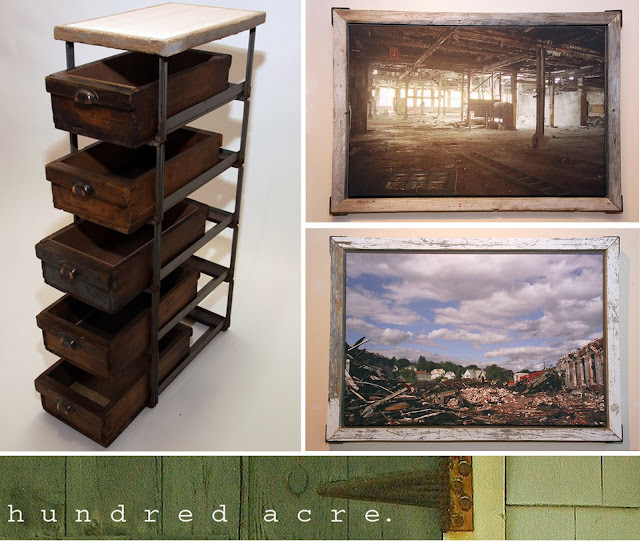 Finally, Hundred acre is in the mix because this shop specializes in custom-made furniture and functional art crafted from salvaged materials. I love the antique wood bin drawers with salvaged brass bin pulls. I can store a lot of stuff in that baby.